it’s film petit time, and this month’s film is one that’s been a favorite of mine for many many years (we even had the soundtrack playing at our wedding reception in 2004). 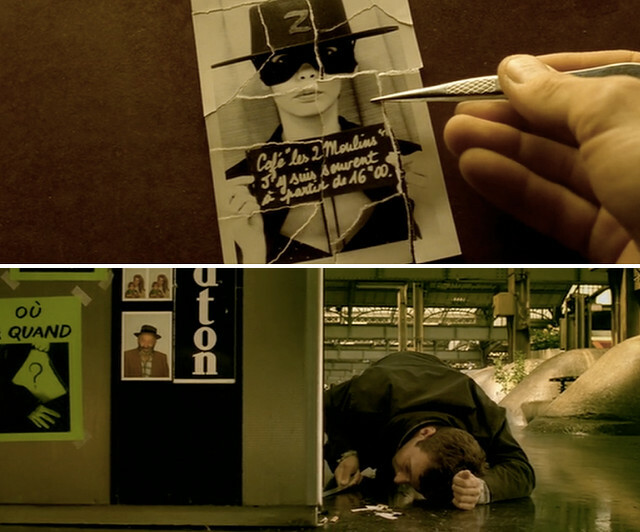 it’s…Amélie! officially titled “Le fabuleux destin d’Amélie Poulain,” Amélie (affiliate link) is a 2001 French film directed by Jean-Pierre Jeunet about a little girl that grew up within her own imagination. she was a lonely child and a lonely adult too, until one day she is struck by the urge to become a “do gooder” and surprise others with small acts of kindness and love. her shenanigans include stealing her father’s garden gnome and sending it around the world, guiding and describing the street scene to a blind man, and setting up two lonely hearts looking for love at her workplace. as she does these good deeds for others, she chances upon a young man named Nino. Nino is on his own quest to find an elusive mystery man as he reassembles discarded photo booth photos for his collection, and Amélie quickly falls in love…but she knows the way to get his attention is through the photo booth. …knowing that when they finally do meet, they will fall deeply in love and be together forever. as i put these ideas together, i noticed that the design that emerged reminded me of the darling ranges dress (adult pattern) by megan nielsen! i went with that inspiration. mine is a mini version, with short sleeves and fewer buttons. the button down front comes to a v at the neck (i drafted facings, a feat i’m geekily proud of – this pattern has eight different pieces!). i stitched the facings down by hand for an invisible finish. 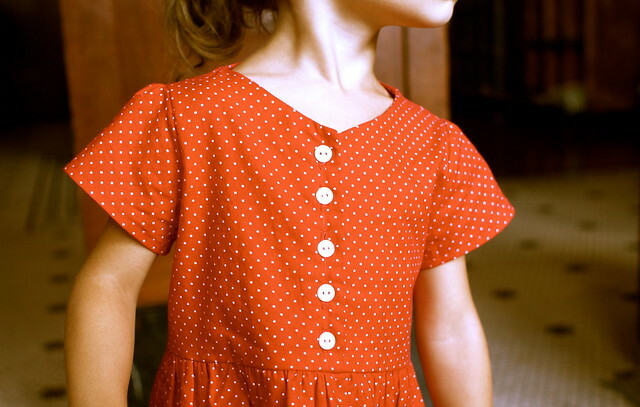 the sleeves puff slightly at the shoulder, and i made it in a red with white polka dot cotton (moda essential dot) to stick with her mostly-red color theme. it closes with five white buttons. the bodice attaches to a gathered skirt and has shirring in the back to add some shape while remaining very comfortable for my little gal. i owe my newfound knowledge of facings and shirring to the washi dress, so it was fun to apply those techniques to create this pattern of my own. …one traveling garden gnome at a time! 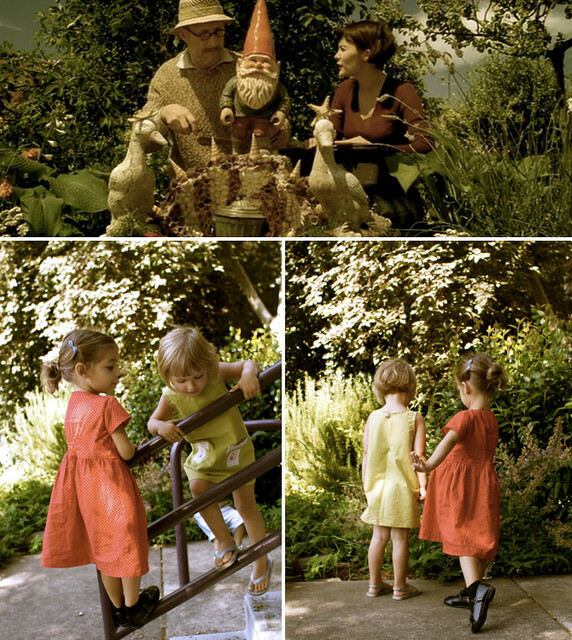 now scamper on over to probably actually to check out Gail’s gorgeous gnome dress! i LOVE that she was inspired by the gnome. the dress she made is amazing, you’ve got to see all the lovely details. Amélie was impressed! 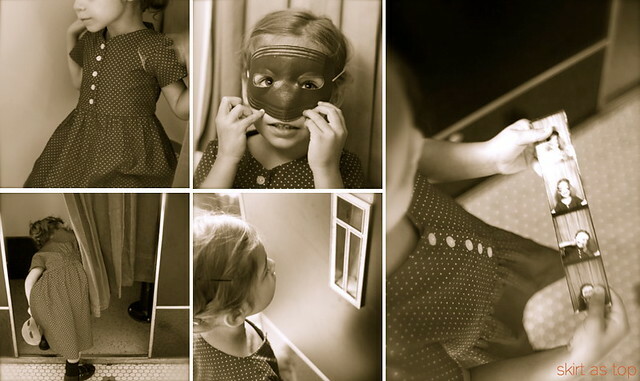 and to find out if Petite Amélie’s photo booth charms worked on Little Nino…head over to a little gray for some amazing sewing and a little bit of trickery! Jessica had a genius collaboration idea with this one; you really don’t want to miss it! it was SO fun planning this month’s post with both my co-host Jessica and Film Petit guest Gail – how great to have three people watch the same movie and be inspired by different parts of it! thanks ladies, this was such a blast! 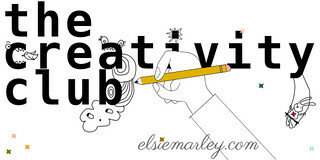 every month or so, Jessica and i (plus a guest blogger) will sew an outfit (or outfits) for our kid (or kids) inspired by a movie we love. 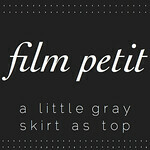 if you’d like to play along, please feel free to add any movie-inspired sewing to the film petit flickr group. 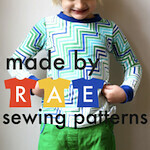 if you sew along with our film petit choices, we’d love to see that too. we’re close to doing a round up, so keep ’em coming! 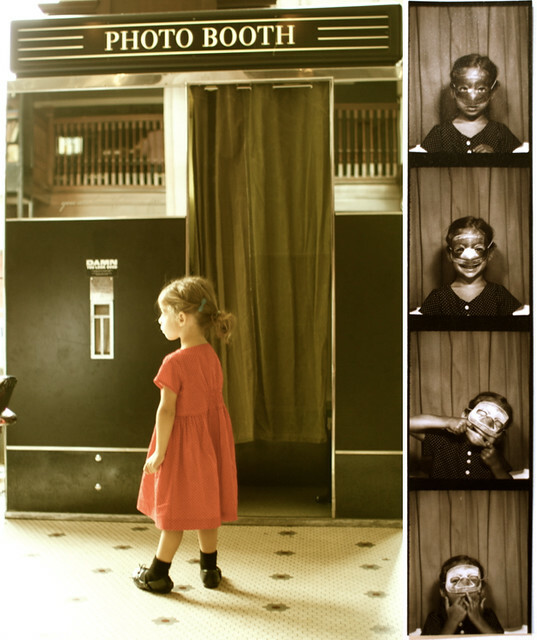 PS – i took the indoor photos in the Ace Hotel lobby where there is a functioning vintage photo booth (!! ), and the outdoor photos at Cool Cottons, a wonderful local fabric shop you should definitely visit if you have the chance. PPS – Cherie from you & mie will be joining us in september! 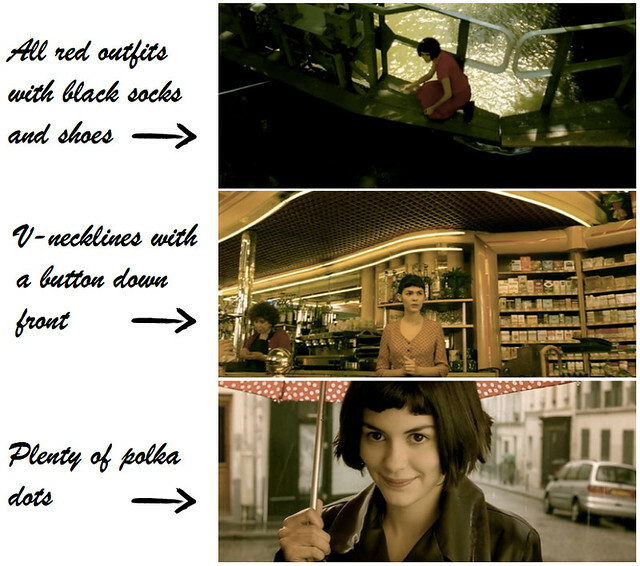 I am a great fan of Amélie and the dress absolutely captured the right spirit. Great job! Well, this sure put a smile on my face this morning. I remember watching this movie at a theatre in Paris in 2001… isn’t it a great movie !?! So unique, I love the whole thing her random acts of kindness, with the traveling gnome & the mystery of the photo booth/guy. I truly love this Series Kristin. I hope you keep it going! It is so much fun to see what you and Jessica come up with, and you choose such fantastic movies! Amelie is wonderfully inspirational. Well done!!! thanks jessica! we have SO many ideas. SO many. it’s fun, and we’re definitely going to keep it going for a while. thanks, girl!! thanks so much for being our first guest, your dress is perfection! 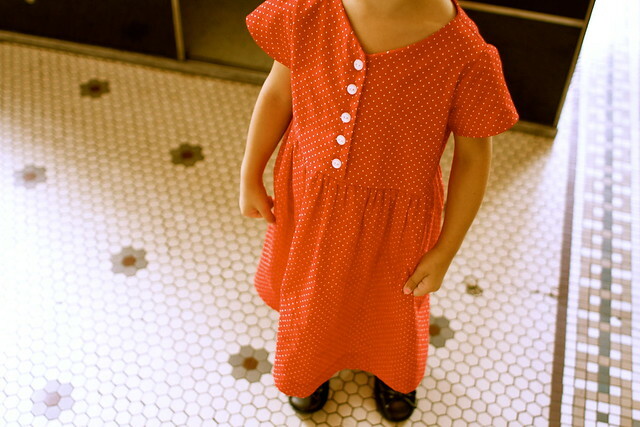 Perfect, perfect red polka dot dress! Love it! oooooh teach me about facings Kristin! This is so fun, your whole story is great. I can’t wait til we can get our little love birds together one day!!! i’m thinking i may do a tutorial down the road. so…there. and yes, we will bring them together at some point! perhaps in the middle, like nebraska? These all came out so great — I love the idea of the coordinating/themed outfits for kids in different cities, fantastic! ohhh! love this series when it pops up and I need to see that movie. I’m kind of surprised I never have. One of my best friends actually named her daughter Amelie. Love photobooths too! Great dress and photoshoot! Oh yes, I bet you’d love it! Good one to watch this weekend. Thanks Jess! Oh. My. GOD!! Absolutely one of my favorite movies!!! No lie!! Totally gonna try to sew along this time!!! So cute! The photoshot looks amazing kristen! Oh thanks, Kat!! I’m sure I’ll be blown away by yours, whatever you do! What a great movie to choose as your inspiration! 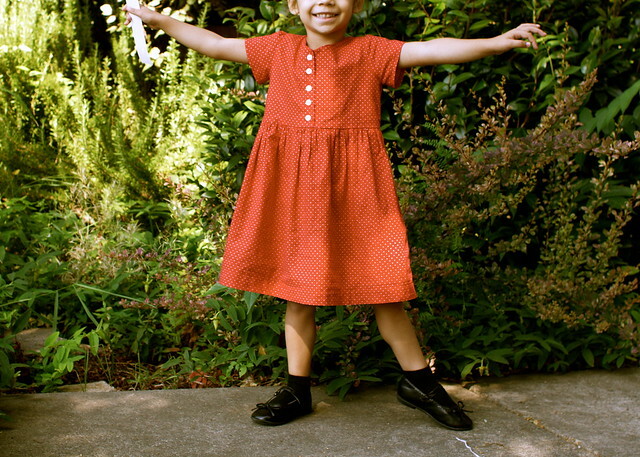 Love your little Amelie’s red dotted dress. And kudos on figuring out the facing drafting and shirting! 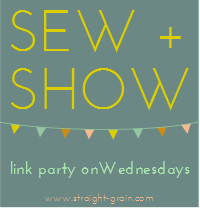 This sewing series is so unique – love it! Oh it’s perfect!! Great job with the facings too! Those v necks are still perplexing to me. 🙂 So we had the soundtrack at our wedding too and I was just playing these songs the other day!! Reception music twins! I played the soundtrack while I was sewing and while we headed to do our photoshoots, too. Em liked listening to the “Ahbellie” music. Love this!!! 🙂 This makes me want to go watch that movie again right now!!! It’s been years since I’ve seen it!! But i have it somewhere, i’ll have to fish it out….great job. So beautiful, Kristin! I feel a very strong connection to this movie too – and the soundtrack, for sure – and you’ve done a phenomenal job staying true to the movie’s spirit. 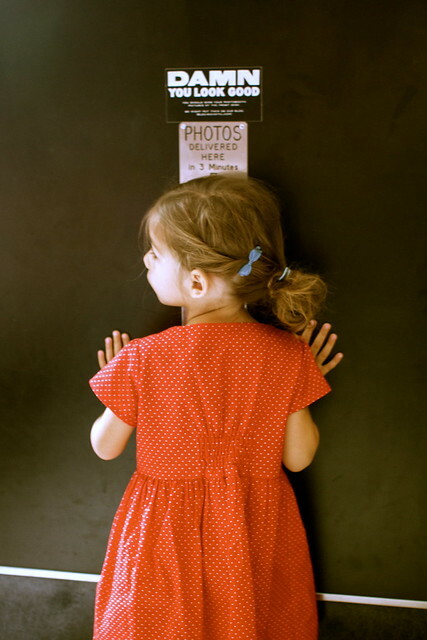 LOVE the photos and the dress is adorable! Nice job producing your own pattern with facing and everything! It looks very professional. 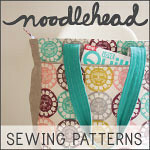 Pattern making in your near future?? 😉 Anyways, I love it all – fantastic job – can’t wait to see what you come up with next time!!! Thanks, Cherie! Someday when I know how to scale patterns maybe…next month will be fantastic, can’t wait for you to join us! This post is so sweet I could cry. I adore the film “Amélie”, and am intrigued by your film petit series. What wonderful creativity. 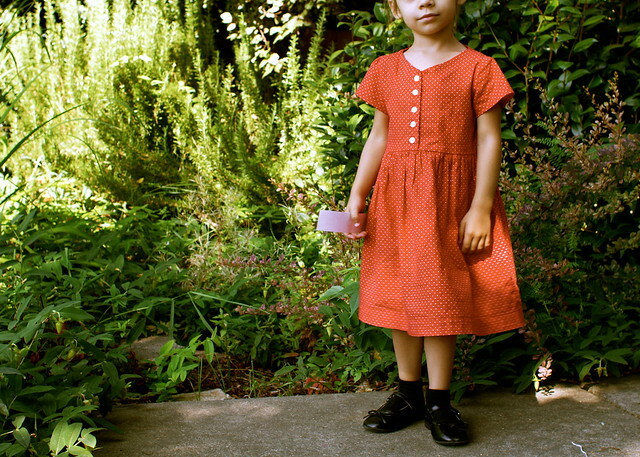 I haven’t yet sewn for the abundant number of little girls in my world, but this may be the inspiration I needed. I’ll definitely check out your Flickr group. 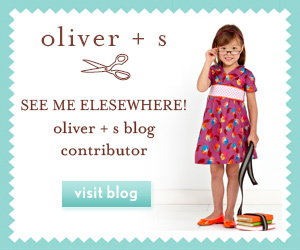 Love the movie, love your dress and love the post! Well done! ooh I LOVE LOVE LOVE Amelie. Such a sweet movie. And such a sweet re-enactment here, including v. adorbsible dress!! 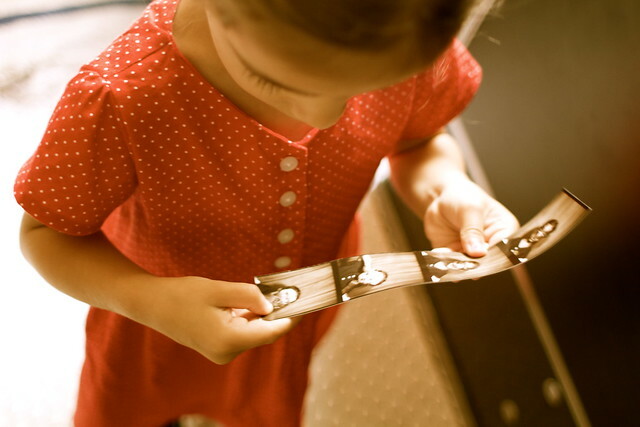 I love that you got a picture of them together in their “Amelie” dresses! Too much adorableness in one place! Oh I think I remember reading that too about the colors. Love your interpretation. Just lovey! adorable dress and the model is working the camera again, as usual! that girl! Oh, how charming and fun! I’m in love! Great film, great dress! I hope there will be a tutorial to come. i’m planning on it! glad to hear there’s an interest! You are killing me! 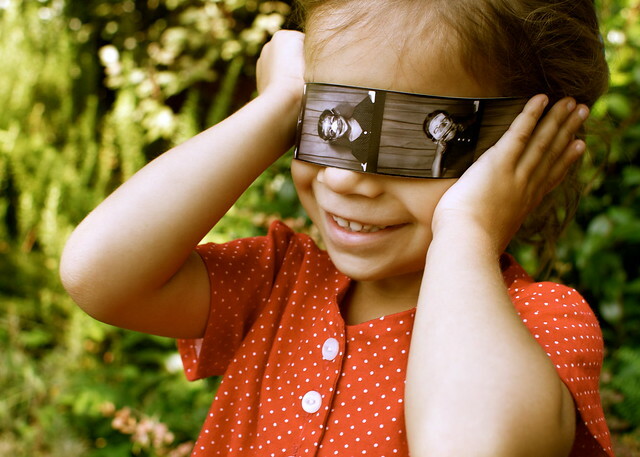 This is one of the funnest (most fun, whatever) photoshoots I’ve ever seen on a blog. Love it, love it, love it. Great movie choice, great dress, great sewing. I am seriously so impressed! thanks so much, kim!!! had a lot fun with this one; i didn’t even realize how perfect the Ace Hotel would be (i just knew they had a photobooth). ahhh! This is so pretty! You are amazing. I love that you guys are doing this. LOVE this! You’re so fun! Oh I love Amalie! That’s so cool you had the soundtrack playing at your wedding. I think you totally nailed the look plus it’s such a cute practical dress for school and such. I’m impressed with your facing ability. And these pictures are just perfect! Wow as usual! Love, Love, Love this movie! So much that I wanted to name my daughter Amelie, but alas, my husband won out in the end. 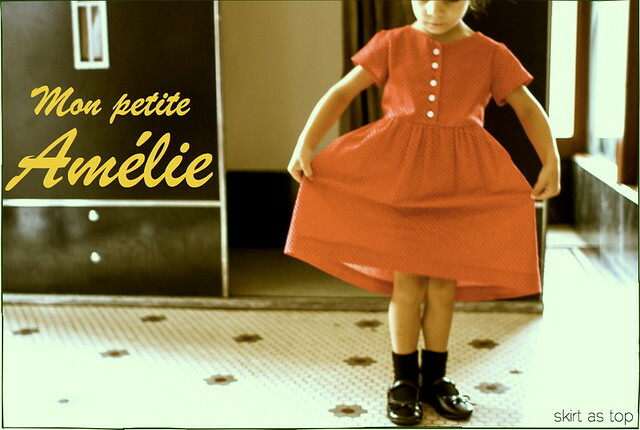 Lovely job recapping the movie, and on your sweet Petite Amelie’s dress!